The St. Louis Science Center (SLSC) has opened its largest new exhibit space in 25 years. 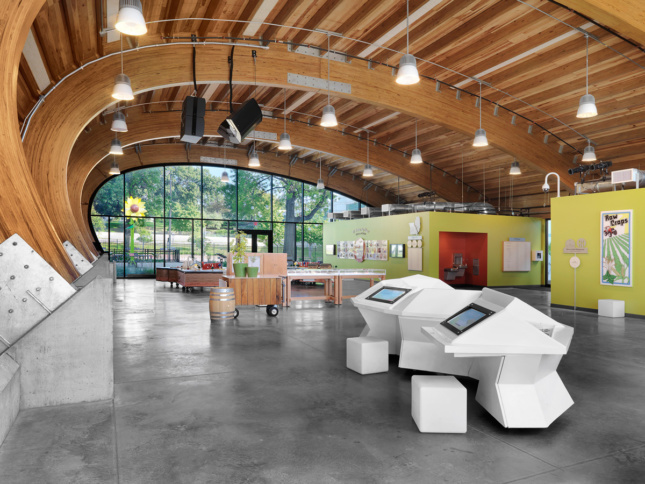 The new exhibition space, GROW, is the largest agriculture exhibit in the United States. At the heart of the exhibit is a 5,000-square-foot pavilion designed by St. Louis-based Arcturis in collaboration with HOK founder Gyo Obata. The new pavilion is situated on an acre of land which was the former site of the pneumatic Exploradome. Between the pavilion and its surrounding outdoor space, the new complex includes 40 interactive exhibits. Visitors to GROW can engage with farming implements, beehives, a greenhouse, chickens, fish, and live crops. Exhibits like the Fermentation Station will follow the path of beer from farm to bar. The exhibition design was done by Oakland, California–based Gyroscope. Demonstrations and events will also be held at GROW to help visitors understand the long, and often complicated, food supply chain. “We wanted to create something that reflects SLSC’s modernist architectural history and also feels like art. 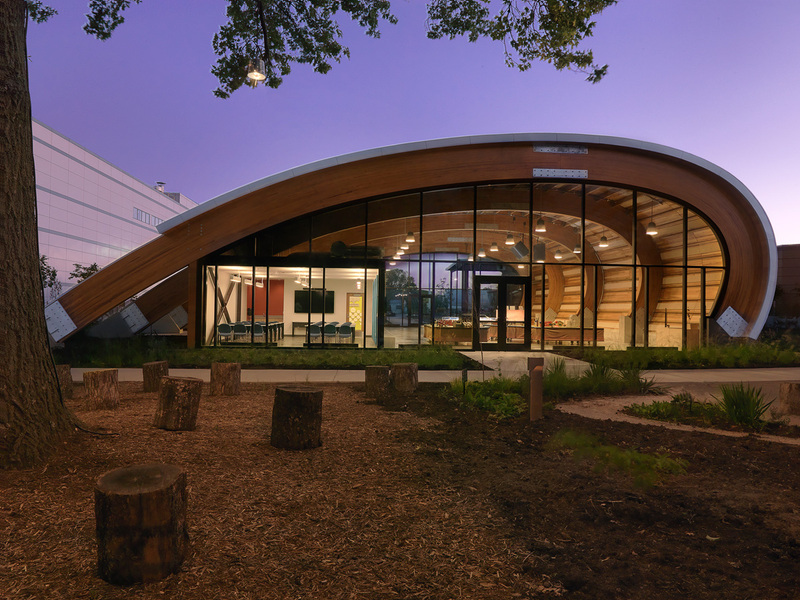 The pavilion’s curved roofline is open to interpretation by visitors and has inspired some to say it looks like a leaf, others that it reminds them of a turn-of-the-century plow. We’re very pleased with the result,” said Arcturis Principle Megan Ridgeway. Gyo Obata was the original architect of the Science Center’s iconic Planetarium, which was built in 1963.